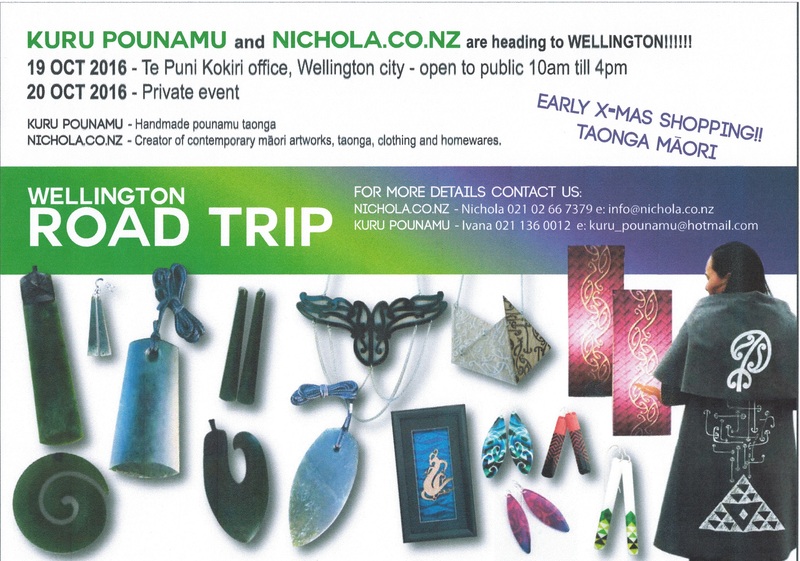 Two creators of Maori taonga and artworks are holding a roadshow in Wellington this coming week. 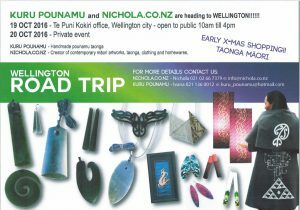 Kuru Pounamu and Nichola.co.nz have joined together to make their crafts available to the public in Wellington on Wednesday October 19th. Kuru Pounamu is well-known for its handmade pounamu pendants, earrings and other taonga made from the distinctive New Zealand stone. Nichola is a creator of contemporary Maori artworks, homewares, clothing and other taonga. This entry was posted on Saturday, October 15th, 2016 at 6:47 pm and is filed under Shameless Plugs. You can follow any responses to this entry through the RSS 2.0 feed. You can skip to the end and leave a response. Pinging is currently not allowed.